Having water heater problems in DuPont? Dealing with a broken water heater is irritating. If you have a unit that acts up frequently, you might want to get it inspected by a qualified plumber. If you have an older model that’s on the fritz, it may be a good time to get a new one instead of settle for a repair. Did you know that heating up water is one of the most energy-intensive processes for a residential property? That means if your water heater isn’t efficient, it’s almost the same as burning money! The experts at John’s Plumbing & Pumps, Inc can help you decide what’s the best option. We do water heater repair and replacement in DuPont and will help you pick out a new model that’s perfect for your home hot water usage. 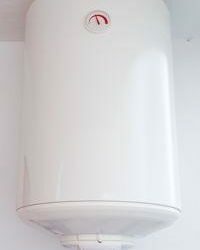 There are many different types of water heaters! 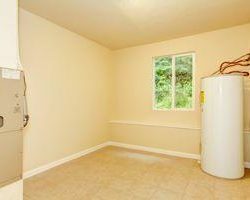 Typically, a residential property will have a water heater that you can find by locating a large tank in a closet, under stairs, or in the basement. But that’s not the only way to heat water! Along with these large-capacity units, there are tankless water heaters that can give you instant access to hot water by making it as needed. For smaller families with lower water usage, this is not only more convenient, but can save money too. Tell us about your typical water usage, and we’ll recommend the type of water heater that’s most appropriate. How do I know if it’s a good time to upgrade my hot water heater? You have water leaking. Small leaks at the bottom of the water heater are often due to condensation and don’t necessarily mean that there’s a problem unless there’s a leak in the tank. If you have an obvious leak or water is coming from the top, it’s usually best to involve the professionals. There’s frequent noise coming from the unit. It’s not uncommon for your water heater to be audible every once in a while. Once it becomes constant and continuous, it’s a sign of failure to come. A noisy water heater tends to be a less efficient one and could be costing you a lot of extra money. The water comes out too hot or too cold. You should be able to predict about how hot the water will be when it comes out of the faucet, especially if you’ve lived in the same place for awhile. When this changes and you have jolts in temperature, your temperature and pressure valve might be bad. Our plumbers are here for you! When you need someone to take a look at your water heater, John’s Plumbing & Pumps are the plumbers to call. We have decades of experience doing water heater repair and installation in DuPont as well as rooter service, septic repairs, and much more! We have numerous satisfied customers that use us exclusively. Join the ranks and let us come by and help you today!